The release of the World Energy Outlook (WEO) 2018 marks another missed opportunity for the International Energy Agency (IEA) to provide a roadmap to Paris, writes Greg Muttitt of NGO Oil Change International. According to Muttitt, even the WEO’s “sustainable development scenario” falls well short of the Paris goals. Policymakers and investors cannot rely on the WEO to guide their decisions in energy. Governments and investors alike have been calling on the IEA to help guide them towards achievement of the Paris goals. Two years ago, the IEA itself proposed updating its climate scenario to match the ambition of the Paris goals, and also gave its updated scenarios a cameo in the WEO 2017. However, in its new World Energy Outlook, released on 13 November, the IEA has backtracked, removing any reference to the higher-ambition scenarios, or to the 1.5 degree Celsius (°C) goal. This comes just a month after the Intergovernmental Panel on Climate Change (IPCC) released a powerful report showing both the critical importance of limiting warming to 1.5°C, and pathways for doing so. 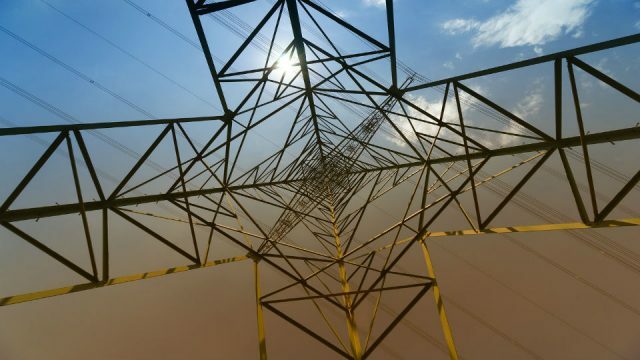 Following a summer of particularly devastating climate impacts, with unprecedented heat waves across much of the world, the IEA has opted for promoting the energy status quo. And 11 months after the World Bank Group decided to end financing for oil and gas extraction, the WEO 2018 instead calls for expanded investment in oil, gas, and even coal. The IEA has proven that it can be a leader in steering energy decisions towards achievement of climate goals. When it first published its “450 Scenario” (450S) in 2008, the IEA was ahead of the curve. That scenario – designed to give a 50% chance of keeping warming to 2°C above pre-industrial levels – reflected the goals of the more progressive governments at the time. But climate science has since indicated that even 2°C is dangerous – reiterated in last month’s IPCC report. It was for this reason that governments decided in 2015 to increase their ambition, committing in Paris to pursue efforts to keep warming to 1.5°C, and in any case to hold warming well below 2°C. At first, the IEA seemed to take this on board, as we explained in a recent blog. In the 2016 edition of the WEO, the IEA recognised that the 450S was not in line with the new Paris goals. It proposed developing two new scenarios, one aiming for “well below 2°C” (WB2), and one for 1.5°C. The German government commissioned and funded a full exposition of the WB2 Scenario, published in a standalone report in March 2017. Many hoped then that the 2017 WEO, published in November of that year, would use this work to update its ambition to reflect the Paris goals. It was not to be. In WEO 2017, the IEA replaced the 450S with a new “Sustainable Development Scenario” (SDS), with the welcome addition of goals on energy access and air pollution. 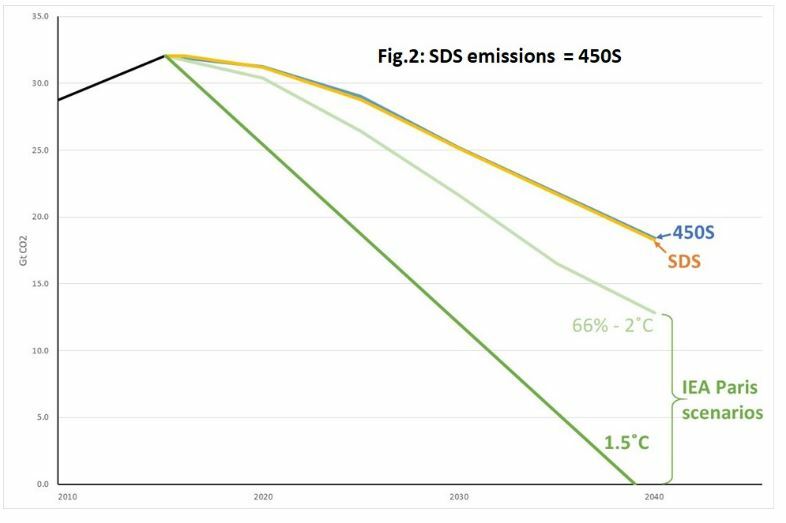 But on climate change, the SDS maintained the pre-Copenhagen ambition level of the 450S. As the graph shows, the emissions pathways of the scenarios were identical. WEO 2017 only briefly mentioned the WB2 Scenario , and did not mention the 1.5°C Scenario at all. Now, the new 2018 edition of the WEO omits reference to the WB2 Scenario as well, and fails to address 1.5°C at all. As for the “well below 2°C” part of the goals, the IEA claims that the SDS will lead to 1.7 to 1.8°C of warming. But how can a different result arise from the same emissions pathway that led to a 2°C outcome in the 450S? The answer is that the IEA has changed its assumption about what happens after 2040, beyond the scope of its own scenarios. The IEA makes the 1.7 to 1.8°C claim by comparing the SDS with scenarios that lead to that amount of warming. 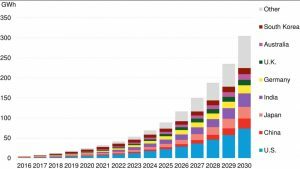 As the IEA’s graph shows, those scenarios depend on large-scale use of negative emissions technologies later in the century – including technologies that have been considered in theory but never tried in practice. 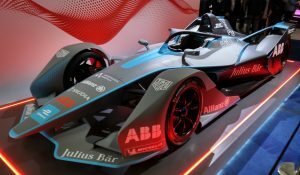 If achieving the Paris goals is predicated on the later availability of these technologies and they do not work out, emissions to that point will be irreversible and climate limits broken. Previous editions of the WEO have warned that negative emissions are likely not feasible at this level. WEO 2016 stated: “Such a situation is vastly removed from the realities of the current energy system, and the prospect is remote from today’s perspective.” WEO 2017 also cautioned that “all such technologies face severe technical, economic and resource constraints.” And climate scientists have expressed growing concerns about reliance on negative emissions, as discussed in our recent blog. In contrast, the new WEO 2018 describes negative emissions technologies as one of the “important sectors for innovation,” and gives no warning about the dangers of reliance on them. All of this matters because, as the new WEO puts it, “Robust data and well-grounded projections about the future are essential foundations for today’s policy choices.” Scenario data and projections serve as a guide to the future, ideally to enable good decisions. Without information about how to do it, it will be hard for governments to “pursue efforts” to keep warming to 1.5°C. Investors too are increasingly using climate scenarios to test the robustness of their portfolios. 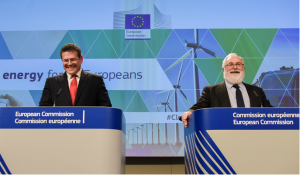 They are vital tools for delivering the Taskforce on Climate-Related Financial Disclosures’ recommendations and for the Climate Action 100+ initiative. As Oil Change International’s research has shown, investment in new oil and gas fields – beyond those that are already in operation – is not consistent with the Paris goals. 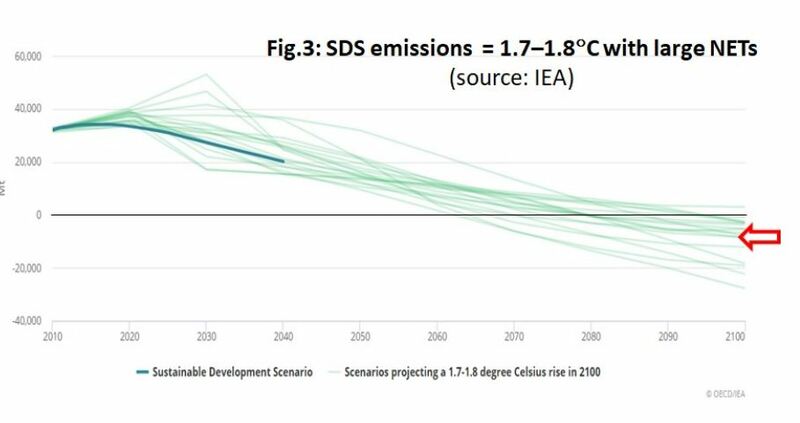 The IEA is able to make the contrary claim for the SDS only because the SDS falls short of the Paris goals. This is a crucial omission. Based on such projections, governments may continue licensing new oil and gas, locking in their future emissions, while failing to plan for an orderly just transition for workers. Investors may understate the risks associated with the energy transition, leading to future economic disruption. The vast majority of WEO 2018, like in previous editions, is focused on the “New Policies Scenario” (NPS), which would lead to around 3°C of warming. By comparison, the SDS gets only one paragraph in the six-page summary. But since the NPS is so centrally promoted, it is the NPS that decision makers use as the default guide. As we showed in our Off Track report, the NPS’ demand projections have been used by governments and investors to support damaging projects from Australian coal mines to Arctic oil drilling. This is why Oil Change International calls for the goals-based scenario – which the IEA says is the one it wants – to be made the central one in the WEO. Furthermore, in the new WEO, the IEA repeatedly advocates for fossil fuel investment in line with the NPS. This investment will help create that very future that the IEA says it does not want. Much of the WEO’s media coverage can be expected to focus on the IEA’s projection that (in the NPS) oil demand will not peak until after 2040. This narrative of ongoing future demand will also drive ongoing investment in more oil. 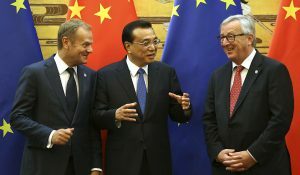 The same is true of gas: The WEO states that “building up infrastructure … requires conscious choices in favour of natural gas.” It urges governments and companies “to ensure that adequate and cost-effective investment in new supply keeps gas as competitive as possible with other fuels,” in other words reinforcing gas against competition from renewables. 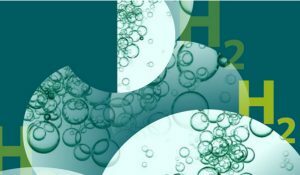 Oil Change International research has found that there is no room for new gas development while achieving the Paris goals: Gas cannot be considered a “bridge fuel” as some claim. Oil Change International believes the IEA has a significant opportunity for leadership, an opportunity that it regrettably missed in WEO 2018. It would in fact be easy for the IEA to become a climate champion by updating the SDS to match the Paris goals and by making that the central scenario in the WEO. Decision makers – political and financial alike – are demanding the tools to implement their policy commitments and plan for success in a rapidly changing energy landscape. It is an opportunity that can’t be ignored and, as the IEA faces increasing public pressure in 2019, calls for this increased ambition will only grow. With time to spare to incorporate the IPCC Special Report, the mounting political and investor concerns, and the moral imperative of action on the heels of a year of devastating climate impacts, the 2019 WEO must step up high-profile ambition or risk becoming irrelevant in a world urgently demanding pathways to success. Greg Muttitt is Research Director at Oil Change International. This article was first published on the website of Oil Change International and is republished here with permission. The IEA have underplayed the role of renewables in our energy system since low carbon energy systems first arrived, and this years Energy Outlook looks set to provide precisely the data the oil and gas industry want, yet again. They have been spectacularly wrong when forecasting RES growth the past 15 times, and this time is no different, although one thing has changed; they are still supplying the figures the industry needs to squeeze more money out of governments, but they are no longer publicly advertising this fact – in fact, Fatih Birol will be seen to openly ‘denounce’ fossil fuel investment in soundbites while at the same time maintaining this tradition as if it were not the basis of his career. This utterly profit-driven company writes the de facto rulebook on world energy, yet leaves out renewable energy, which now makes up 25% of electricity globally and 20% of final energy consumption. We are given representations that completely misconstrue facts in order to promote fossil fuels and cast renewables as meaningless. In fact, the IEA generally misrepresents the role of fossil fuels by a factor of three, as explained in a previous energypost article (‘IEA underreports contribution solar and wind by a factor of three compared to fossil fuels’). The cynical and malicious behavior of the IEA towards the renewables industry points to the corruption inherent within the fossil fuel industry, and the stranglehold they have over governments and the economy. It is time someone brought the IEA to account: it is unacceptable to be lied to each and every year as these companies do their best to turn our planet into a desert.